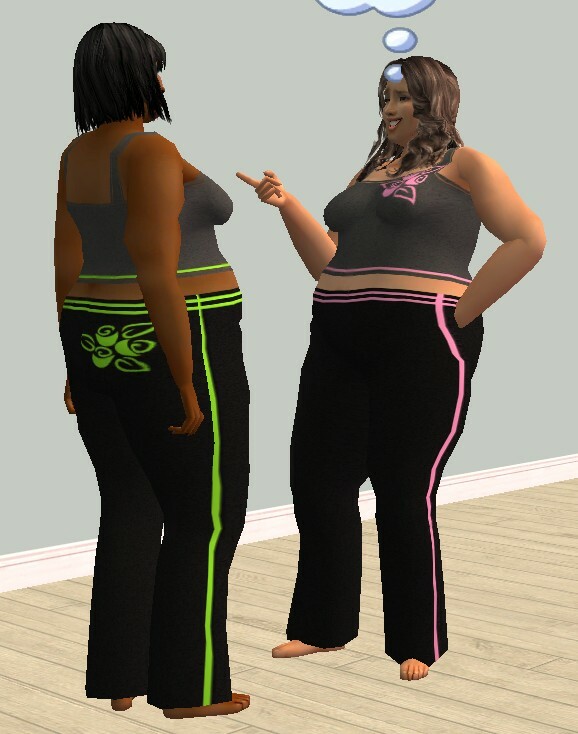 Sleepwear for your female Sims. Your Sims will automatically change into this outfit when they go to bed. It is clothing mesh and two recolors - not showerproof unfortunately. Again there is a problem with hands : hips are wide, so that arms sink in them while the Sim stands still. I've tested it in my game and they don't cause any problems except this with hands.The mesh doesn't replace anything original in the game. Feel free to recolor and publish anywhere you want to, but please don't forget to link back to my meshes. These recolours may or may not be endorsed by martaxl.